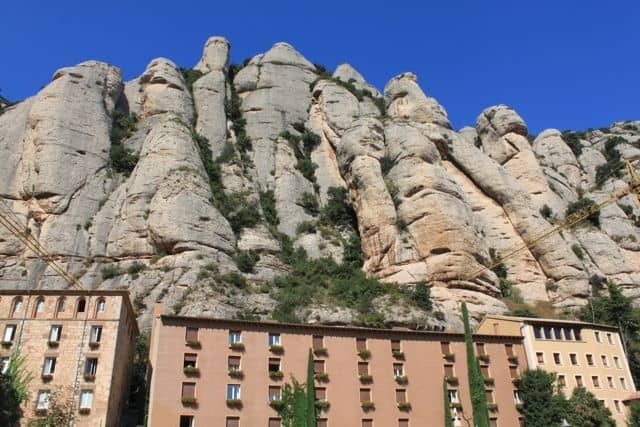 Just 30 minutes outside of Barcelona by car, Montserrat is a tranquil, low-key getaway for locals, tourists, pilgrims, and nature lovers alike. Some spectacular spiked, piked peaks that are stunningly peculiar. Known as the heart of the Catalan people, the serrated mountain range not only offers a breath of fresh air away from the city, but it’s also a peaceful place for reflection and refuge. There are two ways to reach the top. 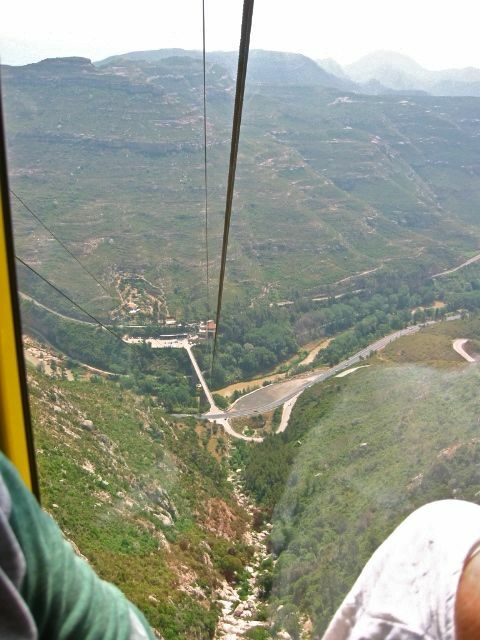 You can take the cremallera funicular (rack train), or If you’re feeling gutsy, you can reach the mountains via Aeri cable car. The feeling of being half a kilometer suspended above a mountain: concern and wonderment. 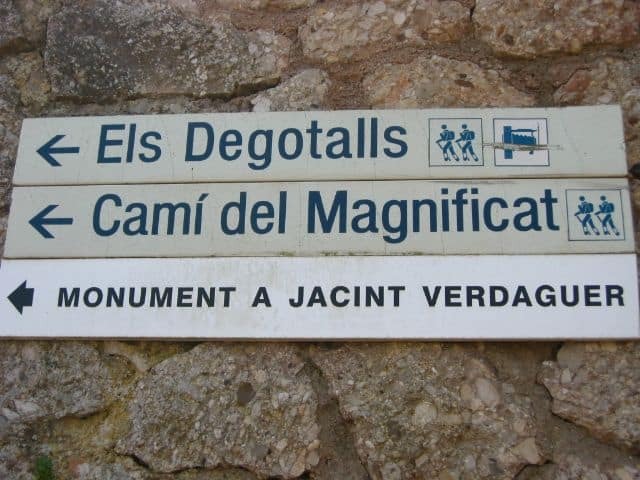 At the high destination. 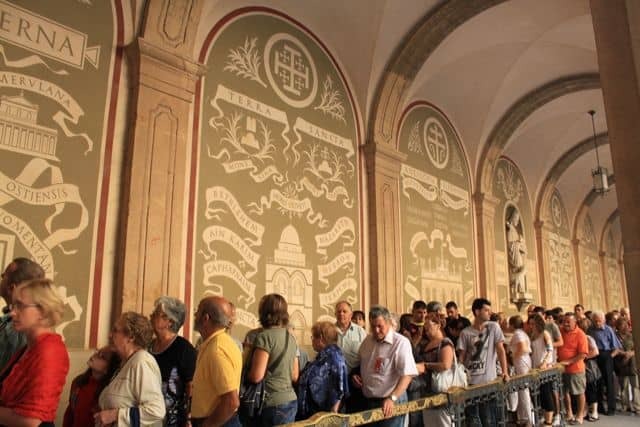 The tourist office, monastery, basilica, restaurants and other sites are clustered together. A perspective of the distant mountains. 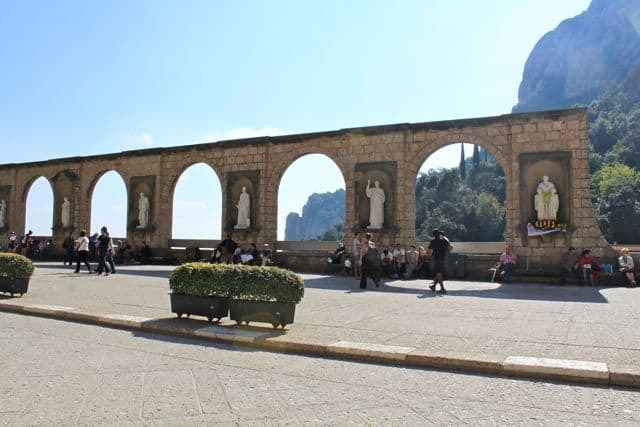 Arches in the Placa de Santa María frame your holy, mountainous view. 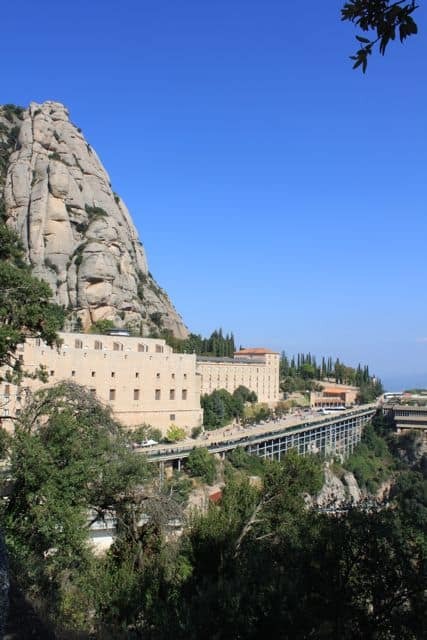 Montserrat also houses one of the oldest music schools in Europe, the singing academy Escolania. A clean contrast of the geometric architectural forms against the rough mountains. 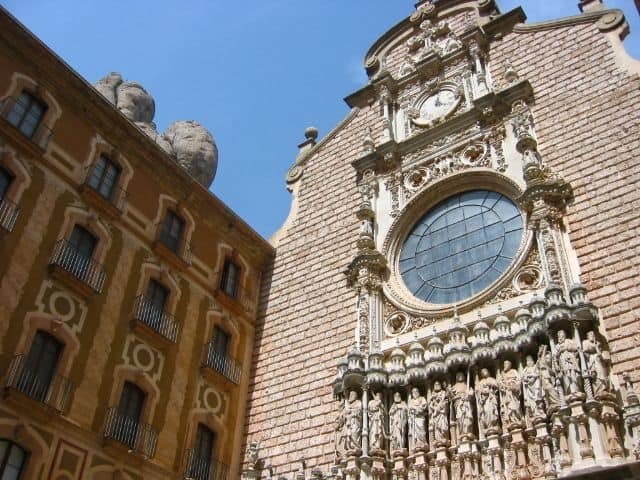 A main attraction is the Santa María de Montserrat Abbey, a Benedictine abbey with 70 monks. Patient pilgrims and the curious line up outside the Basilica to see the much-venerated statue, La Moreneta. 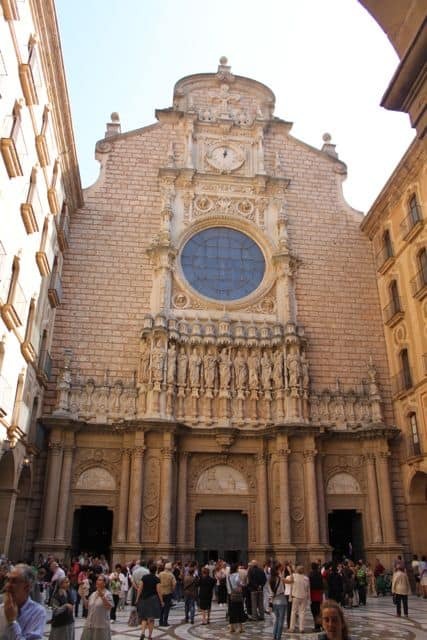 In the courtyard by the basilica entrance, a rounded peak shows itself from behind the Apostle-clad facade. The facade is fairly recent. 1901 — just last century! 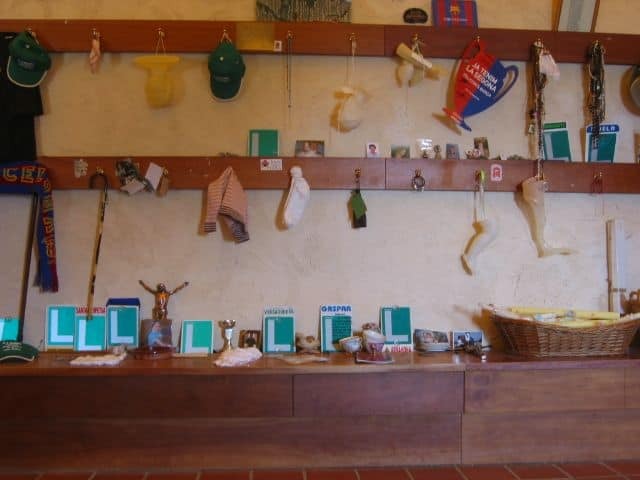 The Holy Grail for Montserrat pilgrims. The beloved La Moreneta (“the dark skinned one”) is a wooden statue of the Virgin Mary and Child. It’s turned this color by the many years of candles and lamps burned around its presence. 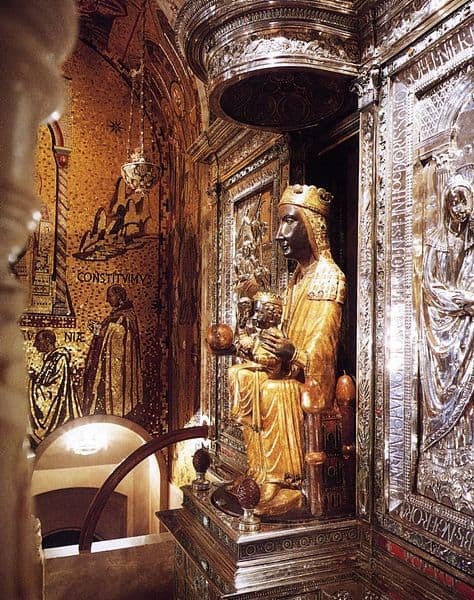 It’s believed that monks could not physically move the statue, therefore possessing miraculous qualities. 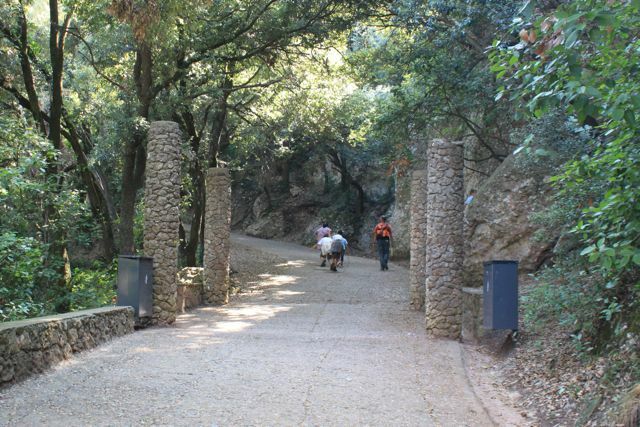 Outside the buildings, there are several hikes that you can take even with small children. Flat terrain. Easy peasy. See? 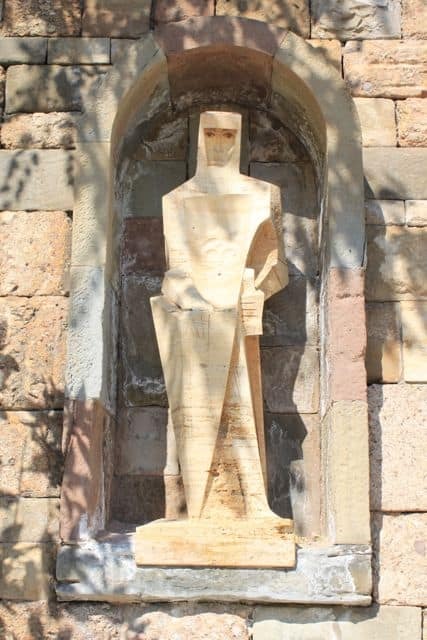 Along some paved roads, there are several monuments dedicated to the Virgin and/or other religious figures. 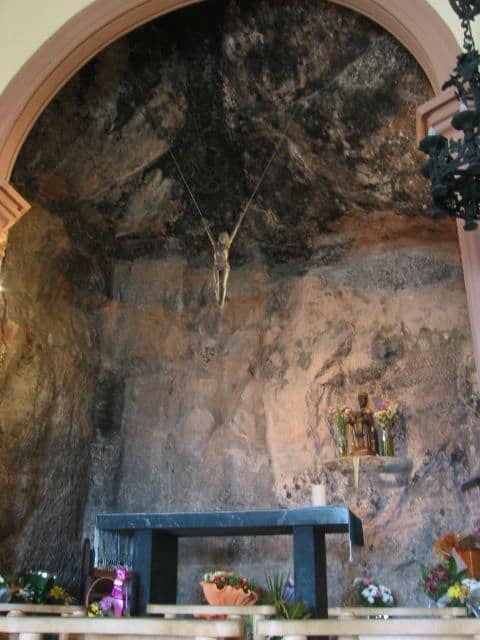 Another site of the mountains is Santa Cova, or Holy Grotto. 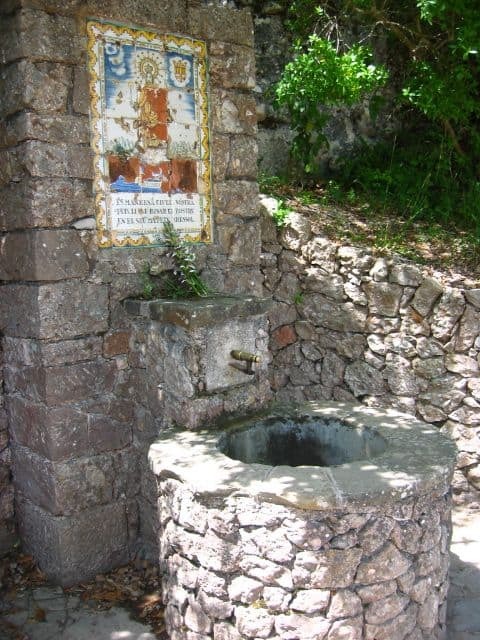 A sacred place, it is believed that the Virgin Mary appeared here to shepherd children in the year 880. Since then, it’s been revered by thousands of people every year. These mountains have thousands of years of worth of stories to tell. From the Barcelona – Placa Espanya station, look for theFGC (Ferrocariles de la Generalitat de Catalunya) signs underground. 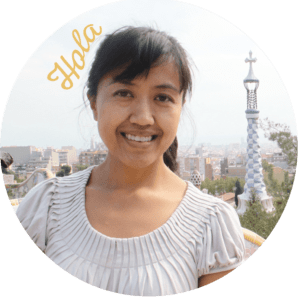 Take the R5 line toward Manresa. It’s 20+ stops. 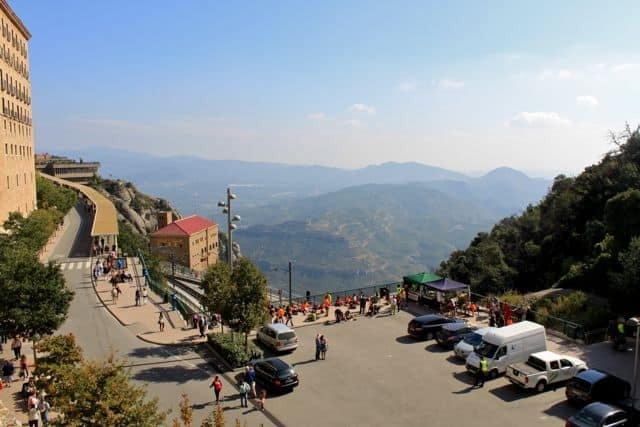 If you take the Aeri cable car, stop at Aeri Montserrat. Using the Cremallera Funicular, stop at Monistrol Montserrat. The FGC Website can give the most updated information on schedules.